Dr Rahman and his staff are all very friendly and helpful. Dr Rahman is a fantastic doctor, attentive and engaging and extremely knowledgeable. Dr. Rahman is great as always. However, the office is particularly dark and dingy though. I highly recommend that they repaint it white and put some new lights in. Other than that, everything is great. Perfect attention from time that I walked in to when I left, as always. Knowledgeable and caring. Takes the time to exam you and determine what’s ailing you. This my second time visit. Dr. Rahman is really good doctor. I always receive the best care from Dr. Rahman, his staff are very carrying. Dr. Rahman has been a great influence on my health - very ameniable office setting and attitude yet sincerely caring about his patients. Ive been going to him for over a year and will continue to regardless of where in New York i move to every now and then. Very nice doctor, first visit and he seems so caring ! I love the staff. Common courteousy goes a long way. Very humble doctor, friendly staff. Dr. Rahman’s office staff is very nice and efficient. Appointments are on time. 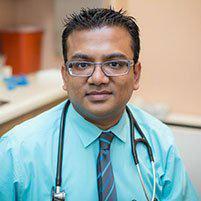 Dr. Rahman is knowledgeable and up to date on technology and vaccines etc and always has time for questions. He is a very good doctor. My appointment was for 5:30 and I wasn't seen until 6, but otherwise very good experience. Little wait. Doctor Rahman is very friendly. Spends enough time with patients. No wait, nice staff, doctor was professional and caring. Dr. Rahman is always kind, caring and he is an excellent doctor. They were awesome! Great experience all around.